Donald Macleod on George Gershwin and jazz. 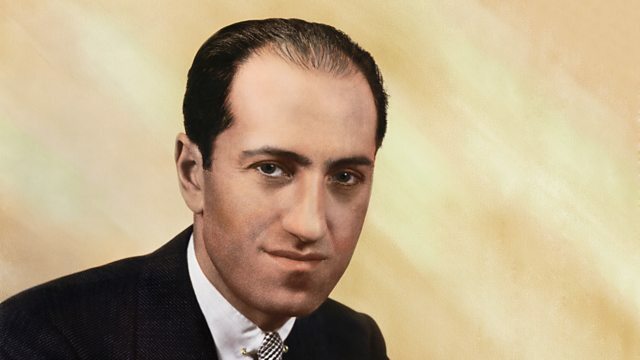 For many, George Gershwin was the foremost composer of the "jazz age" and it's through jazz-inflected interpretations that his music has reached its widest audience. In this programme Donald Macleod explores Gershwin's relationship with the then-nascent and evolving music of jazz. Performer: George Shearing. Performer: Neil Swainson. Ensemble: The King’s Singers. Performer: Nelson Riddle. Singer: Ella Fitzgerald. ELLA FITZGERALD SINGS THE GEORGE AND IRA GERSHWIN SONGBOOK. Performer: Stéphane Grappelli. Performer: Django Reinhardt. Performer: Wayne Marshall. Orchestra: Aalborg Symfoniorkester. Performer: Miles Davis. Performer: Gil Evans. Performer: Benjamin Grosvenor. Orchestra: Royal Liverpool Philharmonic Orchestra. Conductor: James Judd. Gershwin Saint-Saens Ravel Benjamin Grosvenor RLPO James Judd. Visit the extensive audio archive of Radio 3 programmes about Composers and their works. The composer of Jerusalem was very far from the conservative figure his image suggests. What is the strange power of Jerusalem which makes strong men weep? Find resources and contacts for composers from within the classical music industry.